Orly Sec 'N Dry Quick Drying Top Coat .60 oz. 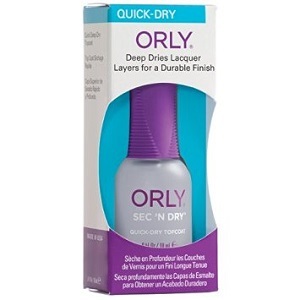 Orly Sec N' Dry Quick Drying Top Coat, .60 oz. Dries nail polish on nails quickly and protects color on nails for a longer lasting manicure. Non yellowing formula.